The Homeschool Buyers Co-op is pleased to present exclusive GroupBuy savings for a 1-year subscription to Taken Charge from Galvanize Labs! You SAVE up to 27% only at the Co-op! Taken Charge is a browser-based video game series for teaching technology to students in grades 3rd through 9th. 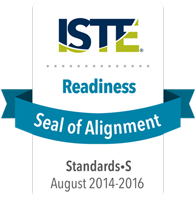 Taken Charge is the first recipient of the ISTE Seal of Alignment for Readiness award for an educational game. Before students attempt advanced technology topics like coding and game design they must first learn and master the basics, the fundamentals. 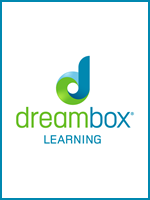 This style of progressive learning puts a strong emphasis on problem solving and critical thinking. The Taken Charge game platform utilizes game-based learning with defined educational outcomes. Taken Charge TEACHES as well as ASSESSES and VALIDATES each students' learning. Game Based Learning - Kids engage in hands-on activities in virtual environments, immersing them in the material so they learn more effectively. Progressive & Self-Paced Learning - Levels and games are designed to be played sequentially, slowly building the player's knowledge and confidence levels. Kids learn and play at their own pace. 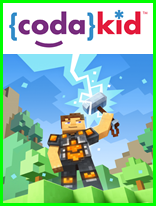 Assessments - Kids validate and demonstrate their learning through mini-game assessments offered within each game. Badges - Success in learning results in the awarding of badges that highlights a player's newly acquired skill set. Tracking Progress & Reporting Results - The Learning Management System was built to address challenges in understanding how students are learning and progressing. Gaming is Supposed to be Fun! Galvanize Labs considers a quality gaming experience just as important as quality education when designing Taken Charge as a fun learning choice for homeschool parents. The program was created to immerse kids in the characters and stories as well as the learning. Taken Charge features a complete and engaging storyline, filled with numerous characters, cinematics, and environments. 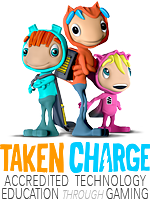 Kids will play as Siri, Adele and Sonny and embark on an epic tech adventure to rescue their beloved dog Charge. Visit the Taken Charge website for more information. Take a sneak peek inside the game. Watch a demo from the experts. Read the FAQs located at the bottom of the Parent Page. Review optional lesson plans that you can use with the program. Fulfillment: Within minutes of placing your order below, the Co-op will publish instructions to activate your Taken Charge subscription at the Galvanize Labs website on your Co-op account "My Subscriptions" page. After placing your order, wait 15 minutes, and sign into your Co-op account and look for "Taken Charge" on your "My Subscriptions" page for instructions and a link. To avoid your registration information expiring, you will need to follow the link and the instructions to activate your account within 7 days of placing your GroupBuy order. Returns/Cancellations: In order to bring you these great prices, we cannot accept returns or cancellations for Taken Charge online subscriptions. To insure a quality purchasing decision, the Co-op recommends reviewing the product demo and/or samples BEFORE you place your order. Taken Charge can be played on the latest versions of Chrome, Firefox, Safari and Internet Explorer 7 and up. One (1) year subscription to Taken Charge Student Edition for one (1) student. Taken Charge is a browser-based video game series for teaching technology to students in grades 3rd through 9th. 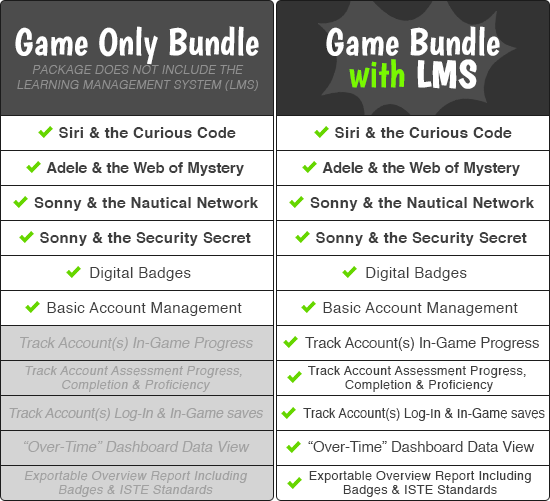 NOTE: This is the Game 'Only' Bundle Package and does not include the Learning Management System (LMS). ALSO NOTE: You may purchase only 1 seat per order for this product. Please place an additional order for additional seats, or choose a bundle below. One (1) year subscription to Taken Charge for one (1) student plus the Learning Management (LMS) features upgrade. NOTE: You may purchase only 1 seat per order for this product. Please place an additional order for additional seats, or choose a different bundle listed above/below. One (1) year subscription to Taken Charge for two (2) students plus LMS features upgrade. See product description above for info. 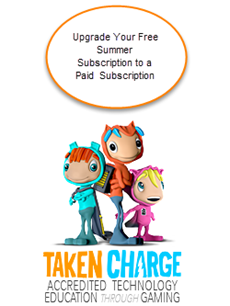 One (1) year subscription to Taken Charge for three (3) students plus LMS features upgrade. One (1) year subscription to Taken Charge for four (4) students plus LMS features upgrade. NOTE: You may purchase only 1 seat per order for this product. Please place an additional order for additional seats, or choose a different bundle listed above. Are you enjoying your free summer subscription for Siri? Ready to upgrade to a paid subscription, but don’t want to lose any of your progress, badges, or data? If this describes you, choose your subscription listed here and let us know your current username below. Once you complete your order, Galvanize Labs will be notified and within one business day will upgrade your current username login that you used for your Summer Free Subscription. Galvanize Labs will email you once this has been completed. NOTE: If you do NOT want to save your progress you made over the summer and would like a fresh start, please select your desired product listed above *instead* of this ‘upgrade’ product choice.